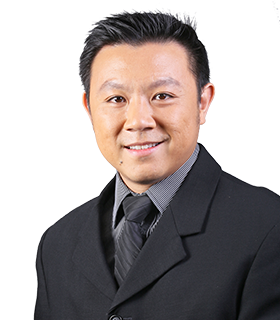 Dr. David Tan is a Consultant Radiation Oncologist at Asian American Radiation & Oncology. His clinical expertise is in the management of gynaecological, gastrointestinal, hepato-biliary and lung cancers, and in the use of Stereotactic Body Radiotherapy (SBRT) in the treatment of liver, pancreas and oligometastatic disease. He is also trained in Brachytherapy for gynaecological cancers. Dr. Tan graduated from the National University of Singapore in 2005 with a Bachelor of Medicine and Bachelor of Surgery (MBBS), and commenced training in Radiation Oncology in 2007. In 2011, Dr. Tan was awarded a Health and Manpower Development Award by the Singapore Ministry of Health to undergo a Fellowship in Advanced Oncology in the UK. There, at the Mount Vernon Cancer Cancer in Middlesex, he obtained advanced training in general oncology and further subspecialized in the above tumour sites. He also trained under renowned experts in stereotactic radiosurgery and brachytherapy. Dr. Tan subsequently obtained the FRCR in Clinical Oncology in 2013 and was admitted as a Fellow of the Academy of Medicine, Singapore (FAMS) in Radiation Oncology in 2014. Prior to joining AARO, Dr. Tan worked as a Consultant Radiation Oncologist at the National Cancer Centre Singapore (NCCS), specializing in stereotactic body radiotherapy (SBRT) and brachytherapy, and the management of gynaecological, gastrointestinal and hepatobiliary cancers. During his 10 years of service in the public sector, he was responsible for setting up the Liver and Pancreas SBRT programs, and oversaw their development from protocol development to patient enrolment and subsequently to treatment of increasingly complex cases such as multiple liver metastases and portal vein thrombosis in hepatocellular carcinoma (HCC). He is also currently co-investigator in an international IAEA-led trial comparing SBRT with transarterial chemoembolization (TACE) in unresectable HCC. Dr. Tan is the Singapore National Project Coordinator for the International Atomic Energy Agency (IAEA) Regional Project 6085, which aims to Enhance Stereotactic Body Radiation Therapy for Frequent Cancers in the Asia-Pacific Region. After establishing Singapore as one of the regional training hubs in Asia-Pacific, Dr. Tan conducted the first regional training course of the project in NCCS in 2016, which was attended by participants from 17 member states. He is also council member of the Federation of Asian Organizations for Radiation Oncology (FARO), which is a non-profit scientific organization comprising national radiation oncology societies in Asia to improve the level of radiotherapy in the region. On the local front, Dr. Tan serves as an executive committee member in the Singapore Radiological Society (SRS) where he holds the office of honorary treasurer, and is also a fellow in the Academy of Medicine. He has been part of the organizing committee for RadiologyAsia 2015 and 2017, which are regional radiology meetings held bi-annually in conjunction with the SRS Annual Scientific Meetings. As an active member of the radiation oncology subsection of the SRS, Dr. Tan organizes annual scientific dinner-symposiums for the local oncology community to update them on the latest advances in radiotherapy in common tumor sites such as liver, pancreas and prostate malignancies, and on latest technologies such as proton therapy. Dr. Tan also held position as Adjunct Assistant Professor at the Duke-NUS Graduate Medical School where he hosted and supervised medical students for clinical attachments at NCCS, and was clinical lecturer at the Nanyang Polytechnic School of Radiation Therapy where he gave lectures to budding radiation therapists.